However, it has a number of advantages and there are many reasons why you should consider making provision for it in your last will and testament! There is also great flexibility in the manner you can structure your trust (or number of trusts) within one will. 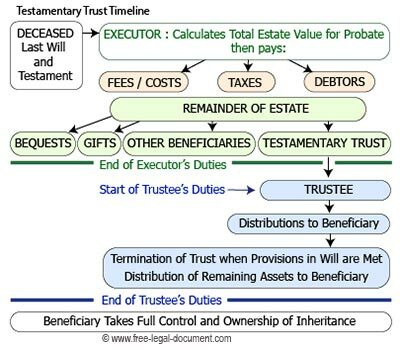 There is a division of duties when it comes to the creation of a trust established under a will (done by the executor of the will) vs the administration (trustee) of the trust thereafter. We'll show you in detail how that works. On our page dealing with Family Wills we take a detailed look at the reasons why and for whom you would want to create a trust in your will, how you can divide your assets among a number of trusts and what could happen if you did not provide for a trust. 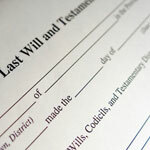 We also show you testamentary trust example wording and provide free last will and testament templates. So, What are the Legal Steps In Creating a Testamentary Trust? Upon the death of a person the Last Will and Testament gets handed over to the nominated Executor (or alternate) who submits the will and applies for a grant of probate. Probate is granted and the court appoints the executor and authorizes him to do his duties as executor. NOTE: If you did not update a testamentary trust will and a beneficiary had already reached the qualifying age or fulfilled the object of the trust (at the time of your death), the trust will not come into being. 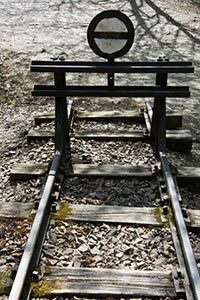 After probate the executor will simply transfer the inheritance directly to the beneficiary. This concludes the duties of the executor (although the process can take anything from a couple of months up to two years). Only now do the duties of the trustee start! Incidentally, you can (if you so wish) nominate the same person in your will to act as executor AND trustee. Otherwise the job of looking after the assets bequeathed in the testamentary trust are now being passed on by the executor to the trustee who will take over the handling thereof. IMPORTANT NOTE: As can be seen above, it can take quite some time to set up the Testamentary Trust and its bank account, so a life policy of the deceased which nominates a testamentary trust as beneficiary will not be payable immediately after death. You could however make a portion of the policy payable directly to a beneficiary or guardian of a minor child to avoid financial difficulty. Be sure to discuss this with your insurer! A trustee will manage the assets (as the testator did prior to his death) e.g. The most important part is the fiduciary duty of a trustee - namely to act in the best interest of a beneficiary. This means that a trustee should not invest money recklessly or borrow money from the trust or use money for himself. It is because of this that the law requires the trustee to put all assets bequeathed to it in a separate bank account to protect such assets from the possibility of the trustee being declared insolvent. Yes, but if your aim is to protect the assets not only from creditors, but also from that very same beneficiary (e.g. prodigal child), it would be counterintuitive to give him/her the power to administer the assets. A bit like putting the fox in charge of the henhouse. You should then add conditions making distributions subject to the written approval of co-trustees. However, in some instances it would make sense. For example: Your adult son is insolvent and you would want his inheritance to be protected from creditors. In this event the trustee in a discretionary trust (your son) would opt NOT to make distributions, perhaps until he is a rehabilitated insolvent. Be careful though - in some states or countries being the sole trustee and sole beneficiary could terminate a trust. A solution may be to appoint a co-trustee and at least one other beneficiary - get legal advice! How Must the Trustee Spend the Money? To a large extent some expenditures will be at the discretion of the trustee. 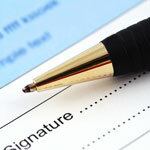 Should money be paid for cosmetic dental work or a sports excursion of a beneficiary? The deceased obviously cannot influence discretionary decisions but may have left a letter of wishes to the trustee. Discretionary Trust - Disbursements and control of the assets are at the discretion of the trustee (or even beneficiary) whilst still being compliant with legal obligations. 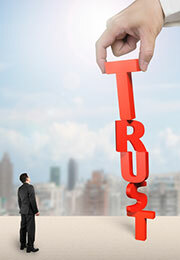 Protected Trust - Typically the trustee may use income derived from the trust (e.g. rental income from properties or income from investments) to provide for the beneficiary's education, health and living - leaving the principal intact. In both instances the aims are to protect assets and enjoy tax benefits using a trust structure. 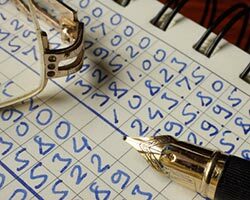 A trustee needs to be organised, conscientious and meticulous about keeping records. Quite often the surviving spouse is perfectly capable of managing a trust on behalf of a minor child and a discretionary trust would work very well. The duties of a trustee in a testamentary trust can last for many many years e.g. over the lifetime of a beneficiary. It can also be a time consuming job - be sure to confirm that a person is willing to take on this duty before drafting your will. Probate court may require regular meetings with the trustee to examine proof that the trust is being handled properly. Beneficiaries can also bring irregularities to the court's attention. 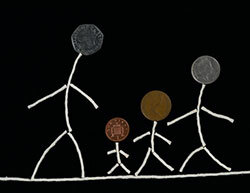 There is an applicable court fee which is paid from the principal of the estate. If beneficiaries or fellow trustees wish to challenge the action of, or have a trustee removed, they will need to petition the court or bring a lawsuit against the trustee. One can see how vitally important it is to appoint a competent and trustworthy person as trustee! Can A Trustee Get Professional Help? A trustee is legally permitted to employ a professional such as an accountant or rental agent or lawyer to assist in the duties. This does not constitute an illegal delegation of power! Banks and trust companies also offer trustee services at a predetermined fee schedule. A trustee is entitled to a fee (albeit taxable income), either as provided for in law or as pre-negotiated with the trustmaker. All these fees will be paid from the trust account. Can You Decline Being Appointed as Trustee? Yes. A nominated trustee has no legal obligation to accept the appointment. A trustee may also accept the appointment at first but may thereafter become incapable of continuing to act or may pass away or resign or may be removed by court. It is therefore good practice to make provision for alternate or successor trustee in a testamentary trust will. Successors are to be legally appointed by court as well. The trustmaker should have an open discussion with a potential trustee before nominating him. Address issues such as problem children or family members, your reasoning behind unequal distribution to your beneficiaries, assets that may be geographically distant and more time-consuming to administer etc. Then provide as much detail as possible and leave written instructions on how to handle the administration of your assets. How do Trustees Dissolve a Testamentary Trust? Once all the provisions in the trust maker's will have been met and the final remaining assets have been distributed to the beneficiaries, there is no longer a reason for the trust to exist. There may also be other reasons to terminate the trust e.g. there are no funds or assets left to make the trust economically viable or the trustees and beneficiaries agree that it is time to end the trust. Consult with an attorney if you are not sure that you know the procedure or have the right to dissolve the trust! Trustees should also make sure that all other affairs are wound up. For example notify insurance companies or other interested financial institutions of the termination. The beneficiaries will confirm in writing that they have received their shares and that they had prior notice of the pending dissolution of the trust. There may also be a requirement in law in your state or country for an accountant to confirm that the trust is devoid of assets and has no outstanding liabilities and that the testamentary trust will be deregistered with relevant authorities.